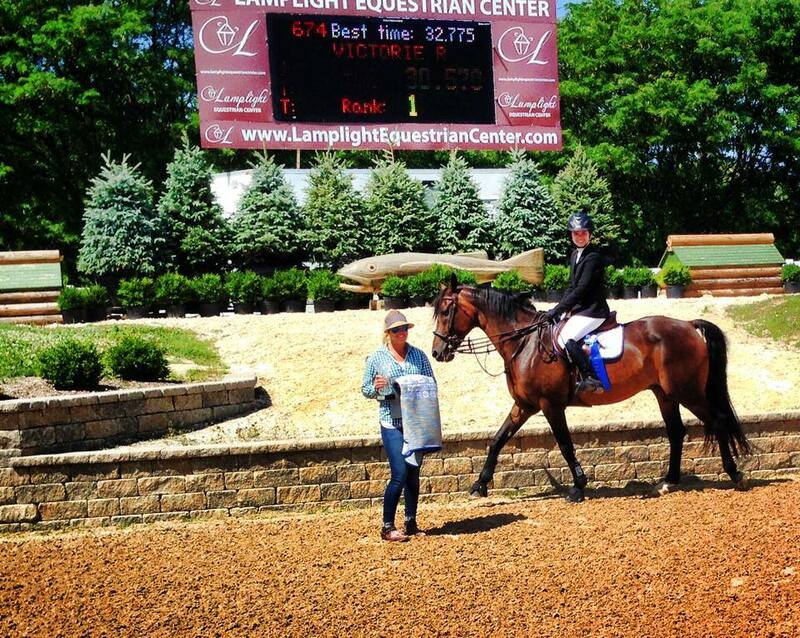 Hampshire, IL – August 1, 2013 – Canterbury Farm of Hampshire, IL attended Lamplight Equestrian Center’s Equifest I July 22-27, 2014 with great results, adding multiple championships to their tack room banner. 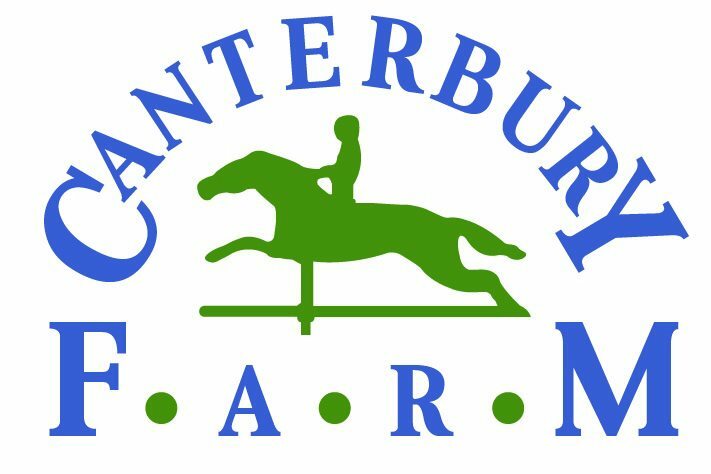 Canterbury Farm is accepting new clients to be part of their team. Specialists in hunters, jumpers and equitation, trainer Greg Franklin brings over thirty years of experience to the business. As a USEF R judge, Franklin has the judge’s eye when preparing horses for the ring and first hand experience to showing at Spruce Meadows. Assistant trainer Caitlin Shiels placed in the top five in all the equitation finals her last junior year and won both the team and individual gold medal at the Young Riders Championship. The farm would like to welcome two new clients, Sian Walker and Natalie Alden. Sian Walker and Victorie R won the Children's Adult Jumper Classic. Photo Andrew Ryback. 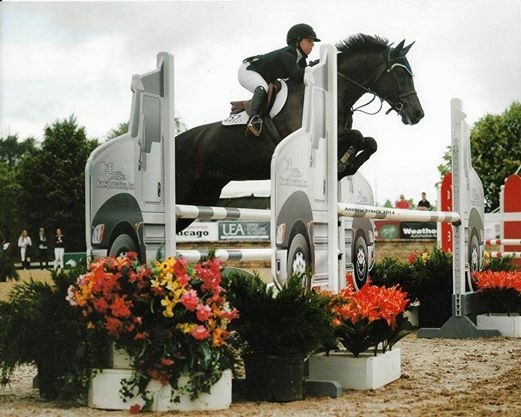 Alden showed her horse Beau Noir in the children's hunters, along with Swanky, whom she was fourth on in her very first IHJA children's medal. Walker and Victorie R won the Children's/Adult Jumper Classic and finished up 7th in the Low Adult Jumper Classic with her horse Teddy. "We are thrilled to welcome the Aldens and Walkers to Canterbury and very excited for their success this last week!" said Franklin. Shiels was Champion on Alden’s Beau Noir, in the Special Hunters 3’ and Reserve Champion in the 2’9” Special Hunters on Marcia Franklin’s Cydelle. Shiels rode Small Enchantment owned by Michelle Durpetti, to the Reserve Championship in the Low Hunters and won an over fences in the same division with Durpetti's other mount, Moody Blues. Jodi Krugman and Kenya, owned by Michelle Durpetti, were Reserve Champion in the modified adults. Kenya also had great ribbons with Shiels in the 3'3 Performance Hunters earlier in the week. Helen Lindsay and Granted Wish had great ribbons in the Amateur Owner Hunter division, including a win in the 3'3 A/O class and 5th in the classic. S + L Downtown, owned by Shiels, won two Training Jumper classes with Shiels. 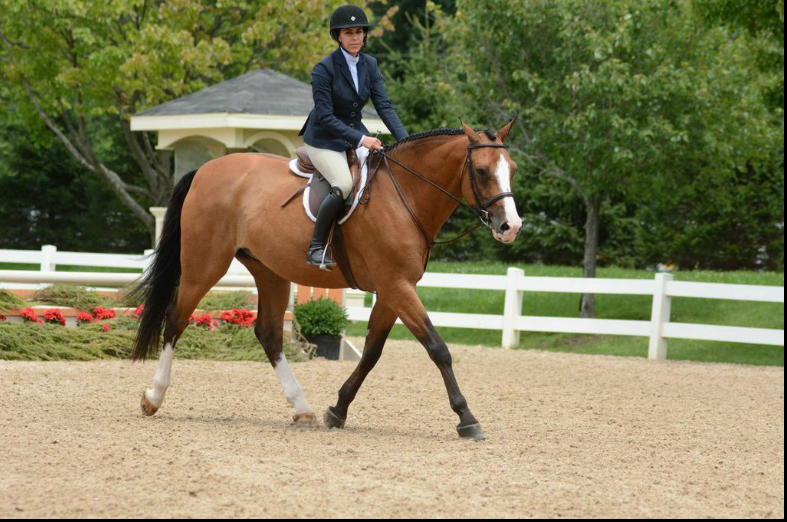 "He has a great personality, big stride, loves to jump and is so fun to ride!" said Shiels. "He is an ideal Child/Adult jumper with plenty of scope + potential to move up." As a 6 year old, he had a top ten finish with Shiels at the Midwest Young Jumper Finals. 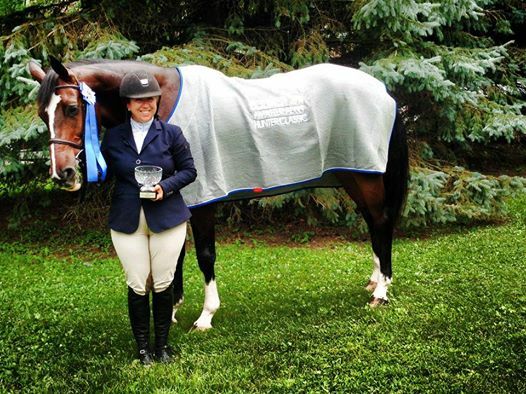 Marisa Malevitis has shown the horse throughout the summer to numerous wins in the Children Adult jumpers. 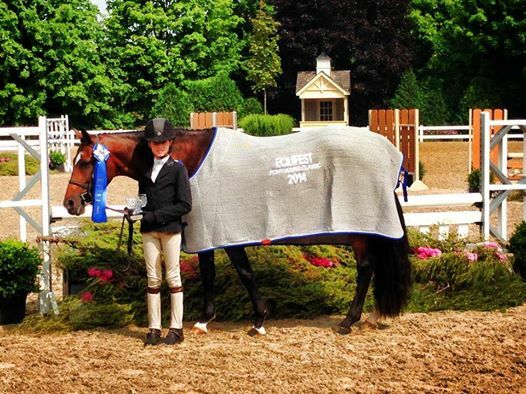 Canterbury will continue showing at Lamplight as Equifest II continues. "We are thrilled to be here at Equifest for both weeks - we had a super first week and are proud of our horses and riders and looking forward to next week!" said Shiels. For more information on Canterbury Farm and S + L Downtown, please visit www.canterburyfarmchicago.com.